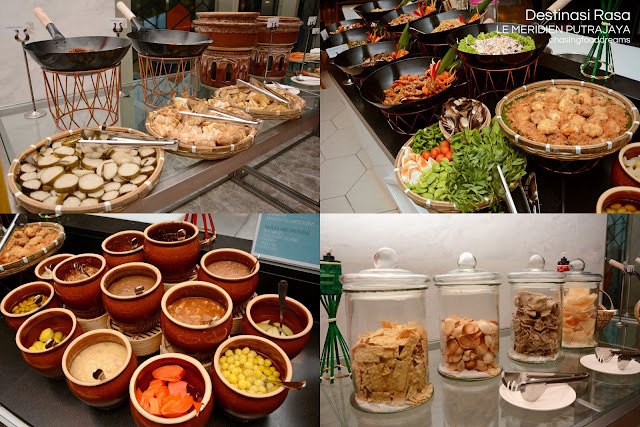 In honor of the fasting holy month, head over to Latest Recipe at Le Meridien Putrajaya to savour a sumptuous buka puasa buffet themed Destinasi Rasa. 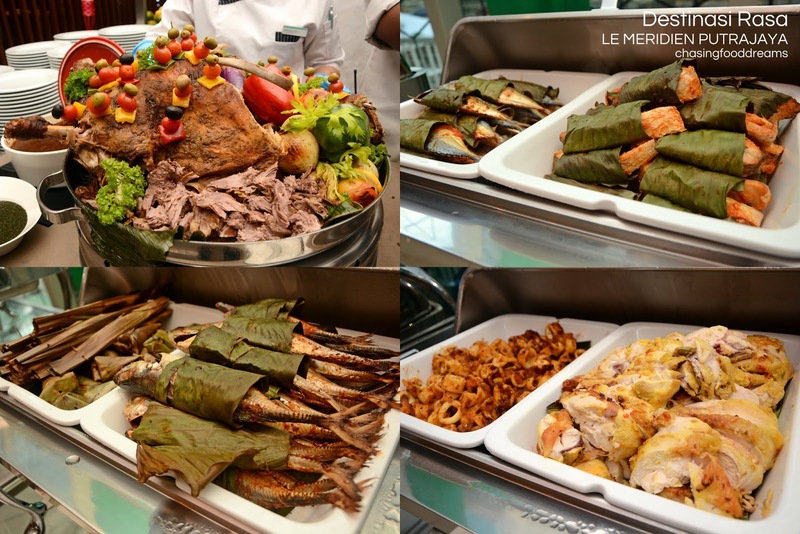 The hotel’s first ever ‘buka puasa’ spread promises to unlock an explosion of kampung flavours from the states in Malaysia, while inviting guests to a glimpse of Le Meridien flavours from around the globe. 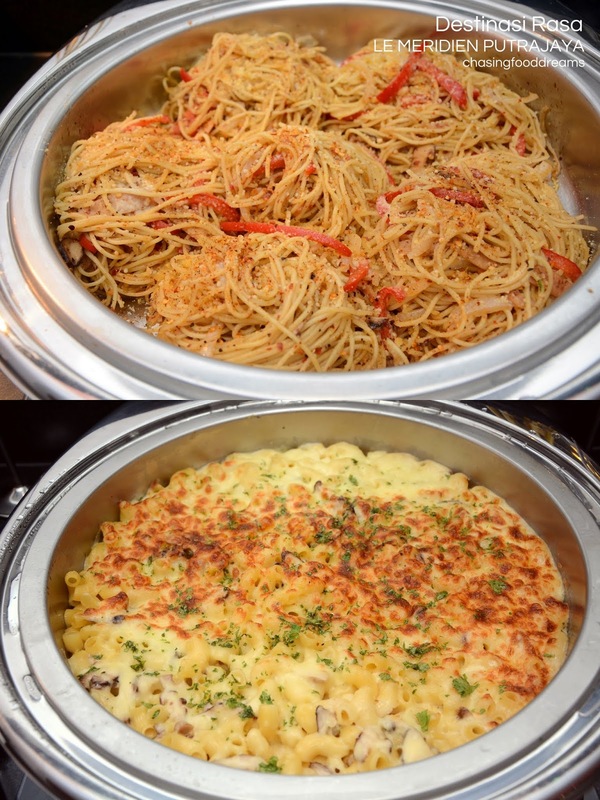 Available from 27 May until 24 June, the chefs at Latest Recipe has combined their expertise to create a spread that is mouth-watering with specially curated signature dishes from their own family recipes. Latest Recipe, an all-day dining restaurant, features five distinct open kitchens: Malay, Chinese, Indian, Japanese and Western preparing fresh food all day long. The modern and spacious restaurant is design with contemporary easement and liven up the ambiance with bold bright colors. Expect various open kitchens where chefs prepare ala minute cooking to diners. For this month, there are lots of various stations set all over the restaurant featuring classic favorites from various cuisines. Kambing Panggang, whole roasted lamb spiced up and slow roast till tender and juicy, served with rich dark brown sauce, black pepper and mint sauce. Savor this with fluffy spiced up kebuli rice. Chicken Sharwarma, slow roasted chicken spiced up with moreish flavours, sliced and stuffed into pita bread and served with assorted vegetables and sauce. Gulai Kawah is a crowd pleaser during this holy month. Tuck into huge kawahs filled with various gulai kawah specialties from beef, lamb, chicken and duck. 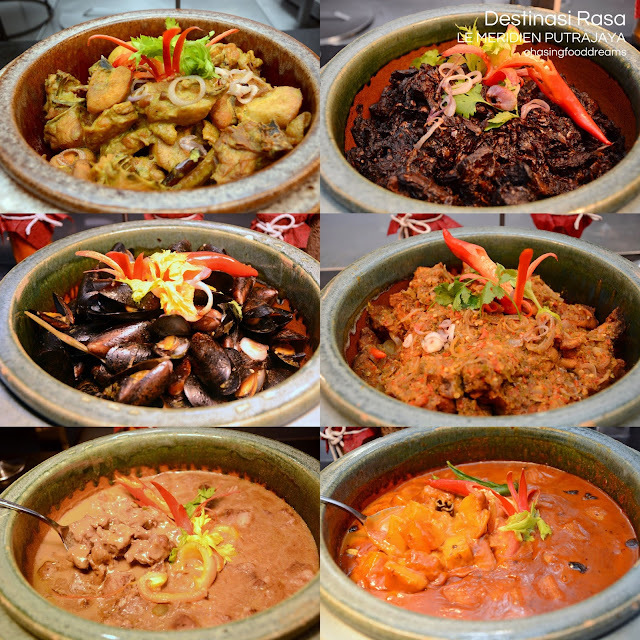 Hot claypot filled with mouth-watering Malay dishes such as Cencaru Pais Kelapa, Ayam Kalio Pekat Ekor Asam Pedas Melaka, Ikan Berlada, Daging Dendeng, Udang Goreng Cili Api, Sotong Sambal Cili Padi, Ayam Masak tempoyak, Cencaru sumbat Belakang and more are on rotation daily. 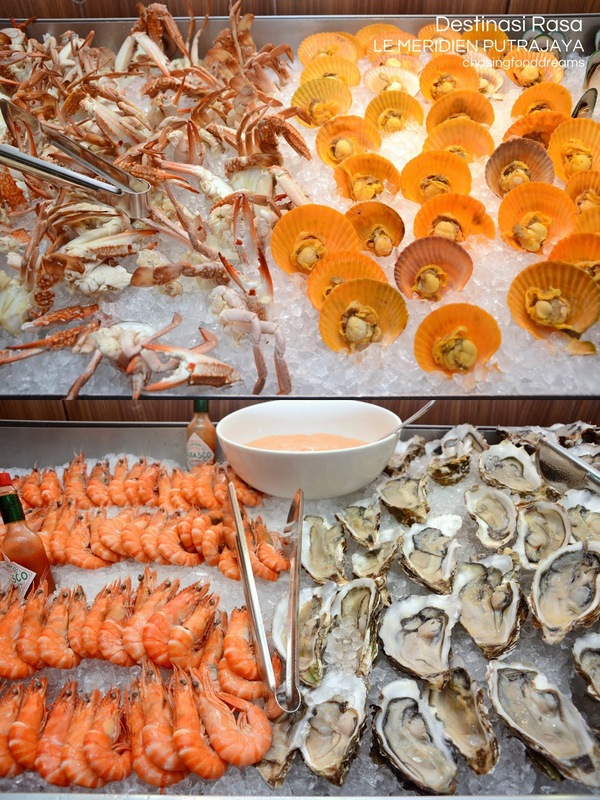 Each evening spread promises over 100 delectable dishes for diners to savour. 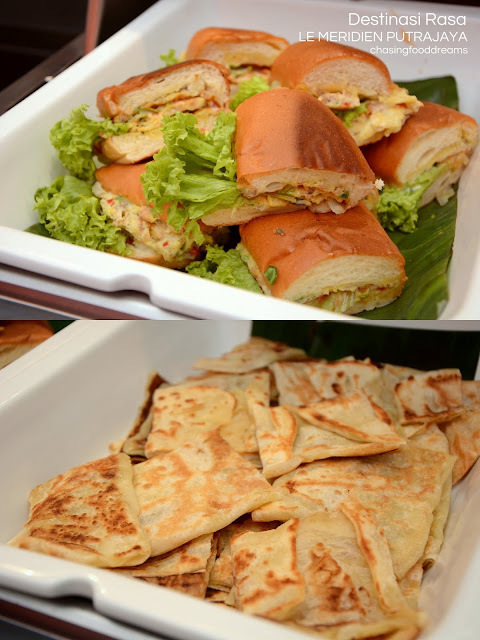 The highlight of the spread is a traditional family favorite, rarely found in restaurants around the city, the Ayam Ungkep by Chef Khairulnizam bin Mohd Rostam. This dish has its roots in Javanese cooking and is prepared with traditional spices, dressed with local herbs and will be featured on the menu every evening. 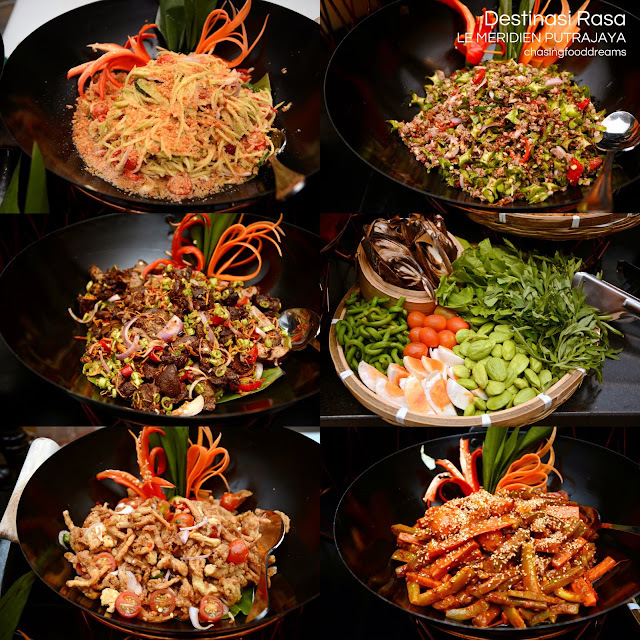 The Daging Dendeng Ibunda is also not to be missed as the well. In addition to the special ‘buka puasa’ menu, a host of daily specials will also be prepared at each of the five ‘live’ kitchens. 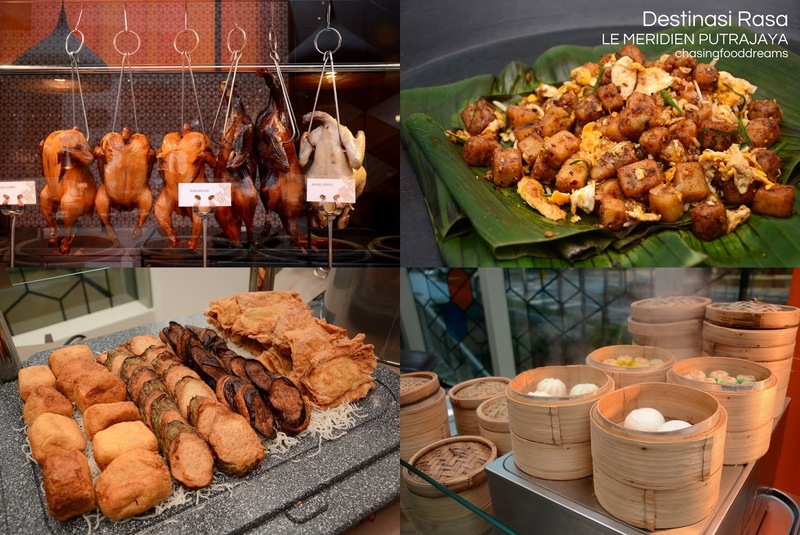 From Dim Sum, Yong Tau Foo, Fried Radish Cake to Pizza, Pasta, Roast Beef and Lamb to Seafood on Ice, Sushi, Sashimi and Tempura, Roast Chicken and Roast Duck, there’s plenty to please even the most discerning palate. 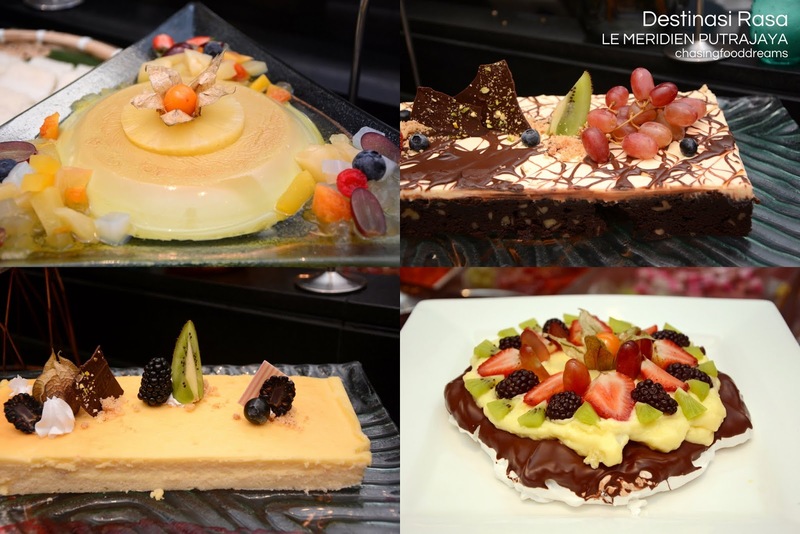 Desserts are simply a must! 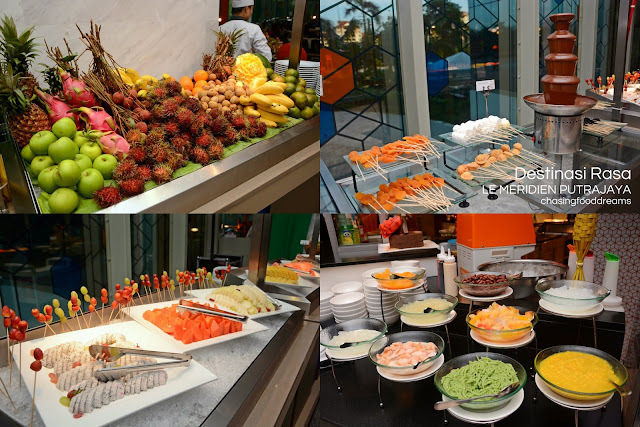 Enjoy Chocolate Fountain, Fresh Fruits, local Kuih Muih, Cakes, Puddings, Jellies, Fried Banana Cheese Balls, Pengat Durian, Ais Kacang and more for a sweet ending. Don’t miss the Turkish Ice Cream station! 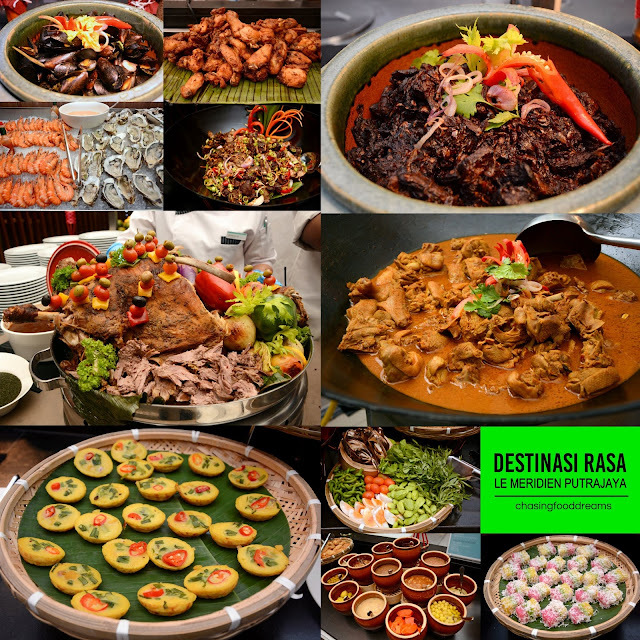 The ‘Destinasi Rasa’ buffet is priced at RM110nett (adult) and RM55nett (child) for bookings made before 21 st May and is open daily from 6.30pm to 10.30pm, from 27 th May to 24 th June 2017. The normal price is RM158nett (adult) and RM79nett (children aged 5-12). Guests may enjoy preferred discounts available to holders of CIMB, Maybank, Citibank, HSBC and UOB debit or credit cards (terms &amp; conditions apply). 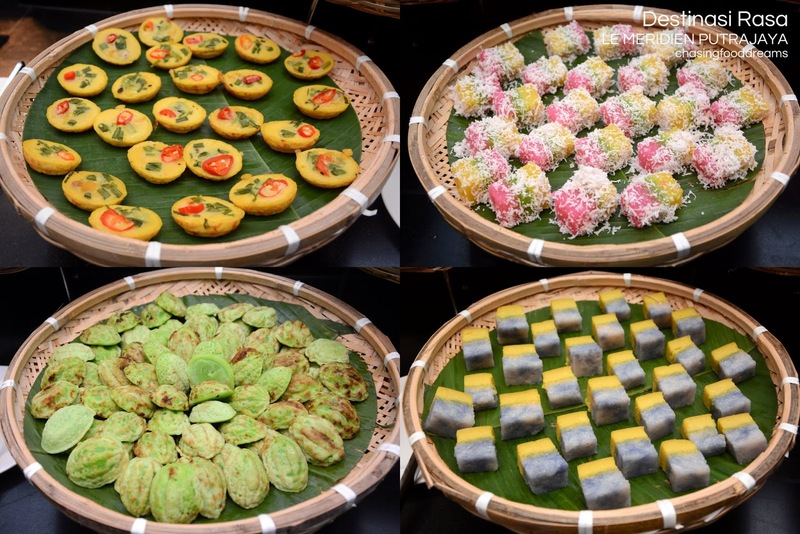 For guests preferring to host their private ‘buka puasa’ gathering, private dining areas can be made available for groups of 200 diners and above. 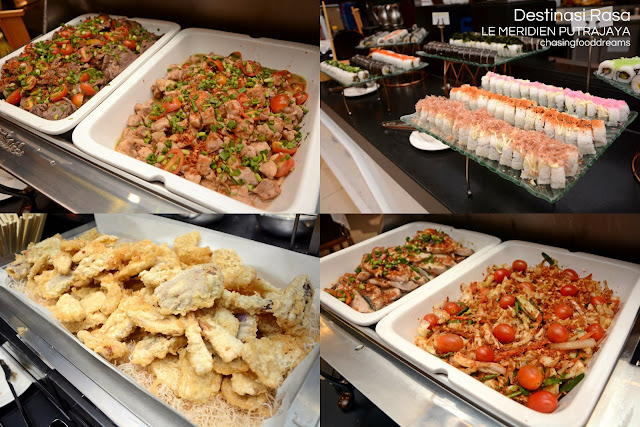 For more information or to make a reservation, please call +603 8689 6888 or email dining.lmputrajaya@lemeridien.com.